Explosive data growth is overwhelming hardware-based storage-and IT budgets. And there's no end in sight: IDC expects data worldwide to reach 40,000 exabytes by 2020. Most enterprises are unprepared to manage all this data, much less extract value from it. But not doing so can mean losing business. 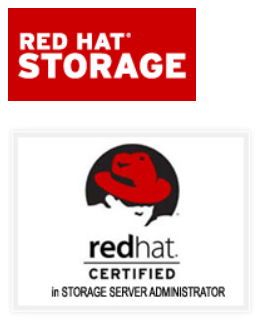 Unlike proprietary, hardware-based storage, the Red Hat© Storage portfolio of products gives you an open, software-defined storage platform that scales across physical, virtual, and cloud resources. It drastically cuts costs, prevents vendor lock-in, and lets you add infinite capacity without degrading performance.